The waters that surround the islands of Hawaii are home to countless marine creatures, and none are more popular than the many pods of Hawaiian spinner dolphins. The calm and shallow coastal areas of the Pacific Ocean are the ideal place to see these marine mammals, and with a convenient departure from Honokohau Harbor, you will be zooming along in no time. Your highly experienced captain and crew will seek out the areas where the dolphins like to play during the morning, and will show you the best way to passively swim alongside of them. An unforgettable Hawaiian dolphin snorkel adventure is waiting for you! Fun Dolphin Facts! Did you know that the Hawaiian word for dolphin is "nai'a" and the scientific name for the spinner dolphin is "stenella longirostris"? These playful aquatic animals are also nocturnal, and spend each evening heading out into deeper waters to hunt for food. They can be found eating small deep-ocean fish and squid, and after their bellies are full, the pods will come back to shallow areas along the coast to rest, relax, and of course, play! Although the spinner dolphin is the one that is most commonly found in Hawaii, other dolphins including the Pacific bottlenose dolphin, rough-toothed dolphin, and spotted dolphin can also be seen swimming in these waters. Be sure to keep your eye out for some interesting behaviors performed by all the various types of dolphins, like head slaps that are used to garner attention, fluke dives where their tails pop-up over the water's surface, or the spectacular spins and flips that are done to not just show excitement and happiness, but also removes unwanted parasites! 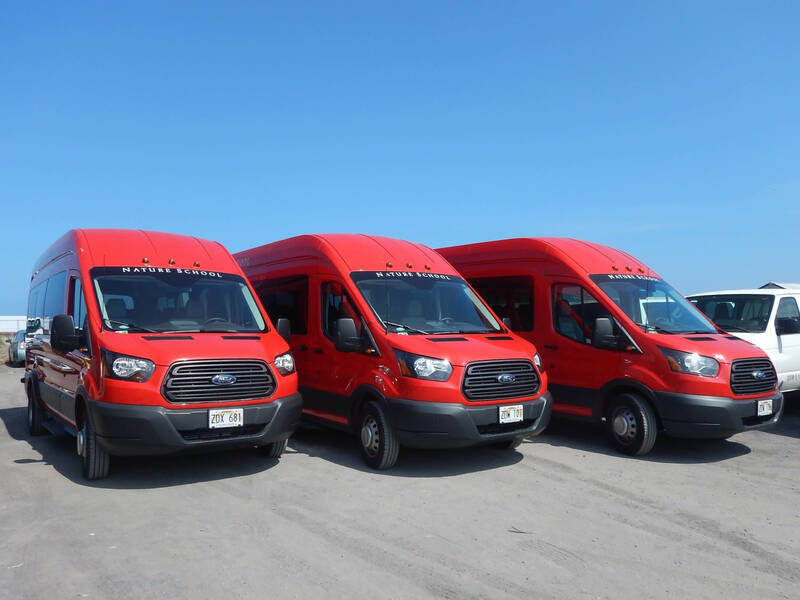 Enjoy convenient pick-up from various locations along Ali'i Drive in Kailua-Kona. You might get a chance to see sea turtles. If you are staying outside of Ali'i drive in Kailua-Kona, you will need to provide your own transportation to Honokohau Harbor. Ample parking is available for all participants! Receive a comprehensive safety orientation and get fitted for a wetsuit, fins and snorkel equipment before you head out on the boat. Your experienced captain and crew will take you to the one one the best places to snorkel along the Kona Coast. One dolphin swimming session is about 20 minutes and you can have up to two or three sessions depending on the ocean conditions and the receptiveness of the dolphins. After arriving at Honokohau Harbor, take the opportunity to refresh with a fresh pineapple snack and beverages! Pick-up and drop-off only available to/from major hotels in Kona, between Sheraton and Mauna Kea Beach Hotel. For other accommodations, you will be directed to the nearest pick-up point after your booking is confirmed. 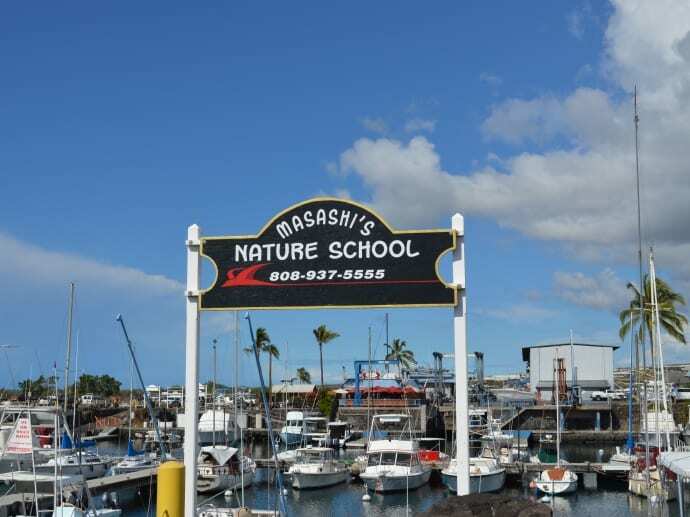 Parking is available in front of the Nature School's Black signboard at the Harbor. Due to varied nature of wild animals, dolphin sightings and swimming is not guaranteed. Tour route may change due to Department of Land Nature Resources regulations. Am I allowed to touch the dolphins? No. It is illegal. Dolphins are protected wild animals so physical contact is not allowed. However, you are sure to have an experience of a lifetime just by encountering these magnificent creatures. Do you have snorkel masks with prescription? Yes, prescription masks are available. You can request them from the crew when you rent your snorkeling equipments. No it is not very necessary to be able to swim. Life jackets and flotation devices are on board and provided for those that request them. Captain is a certified lifeguard and all crews are well experienced. Any cancellations made after 07:20 local time, 2 business days prior to the activity will be subject to a charge of 100% of the total amount.